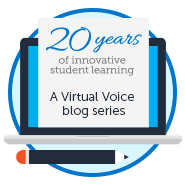 Through our blog, Florida Virtual School pledges to deliver original and compelling content – providing fun resources, educational insights, and unique perspectives into online learning for students, parents and educators. We know that everyone has a story to tell and we encourage dialogue that is thoughtful and thought-provoking. Each blogger’s contribution represents their individual opinion and does not represent the opinion of Florida Virtual School. We ask for respectful, professional and friendly interactions. While we want to encourage discussion, we also acknowledge that not every one shares the same opinions. If you disagree with something on this blog, please share your thoughts in a professional, thoughtful manner. This space is meant to encourage intelligent discussion about education. 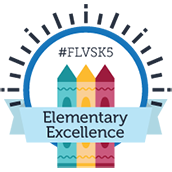 If you have a specific question about the FLVS policy, technical questions or other topics that are not immediately related to a blog post, please send us a message on our Contact Page. Include any profanity, vulgar, threatening, abusive, sexual or otherwise inappropriate remarks. Appear to be spam, meaning they are repeated, off-topic or are flat out advertising. Are meant to provoke negative discussion or attack other commenters. Identify individual students or staff in defamatory, abusive or negative terms.